Wishing all a blessed Buddha Janyati, the day when Buddhas was born, enlightened and attained paranirvana. 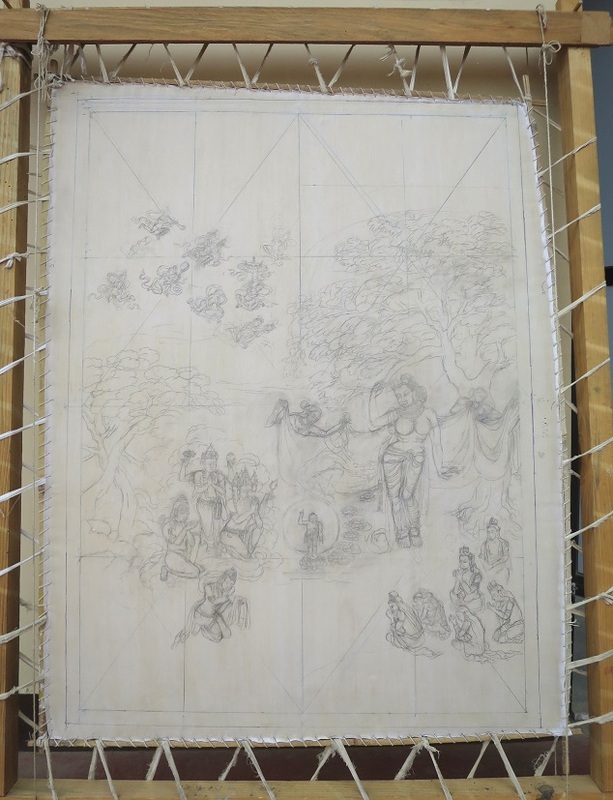 Shashi has slowly been researching and sketching his latest thangka – of Buddha’s birth from Maya Devi’s side under the tree at Lumbini. Witnesses included dakinis in the sky and the worldly gods of Hinduism, as well as Buddha’s aunt who raises him after his mother’s death.